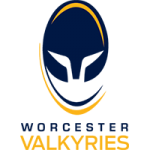 Valkyries slipped to defeat in their latest Tyrrells Premier 15s match at a cold, wet and windy Sixways on Saturday. 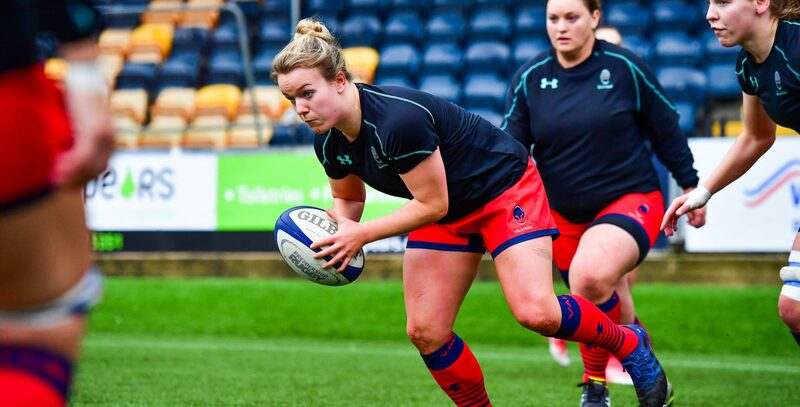 Valkyries were able to leave their mark on the game through Lark Davies as the club captain crossed the whitewash on two occasions. Bristol responded with tries for Lucy Atwood (three), Elinor Snowsill, Merryn Doidge, Mackenzie Carson, Phoebe Murray and Poppy Leitch. The opening exchanges of the game were even but it was the visitors who opened the scoring. Their opening came from flanker, Carson’s piercing run off the back of a lineout. With space out wide after the break, the ball was spread to Atwood who scored in the corner. Bristol then scored twice in quick succession with Snowshill and Doidge going over. Doidge’s try was the highlight as she ran in from halfway with a dummy freeing up spaces to run through. However, Valkyries didn’t take the Bristol attacks lying down. A move involving numerous offloads helped Roy Davies’ side build great momentum and go deep into the Bristol 22. The pressure paid off when Davies dotted down having driven a powerful Valkyries maul over the tryline. The visitors soon regained control as Attwood scored twice towards the end of the first-half to secure her hat trick. Similar to the first-half, the second began with having their fair share of possession. But a mishap at a scrum allowed Bristol to extend their lead. Carson pounced on a ball that spilled out of a Valkyries scrum on the 22 and ran in under the posts. Valkyries responded well, however. They put great pressure on Bristol deep in their own half, forced them into a handling error to win a scrum. A few phases later and the visitors couldn’t resist the waves of Valkyries attacks. Committing numbers forward, Lark Davies was found out wide before speeding across the tryline to add her second try of the day. To end the game, Bristol added another two tries to take them to a half-century of points. Murray was put through to finish a two-on-one after replacement Caity Mattinson slipped through a gap in the Valkyries defence. Leitch then forced her way over the whitewash in the dying seconds of the game. Valkyries’ next fixture sees Roy Davies’ side travel to Loughborough University where they face Loughborough Lightning on Saturday 3 November (12pm kick-off).